St. Pierre Surface Refinishing, Inc. Comment: Replace existing blacktop driveway with concrete. Comment: I need to replace a walk path from myside walk to front steps about 10 foot long by about 3 foot wide. AAA Pool & Spa Builders, Inc.
East Coast Concrete Design, Inc.
Pittsfield Concrete Contractors are rated 4.83 out of 5 based on 208 reviews of 9 pros. 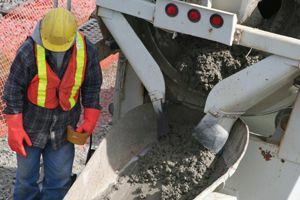 Not Looking for Concrete Contractors in Pittsfield, MA?